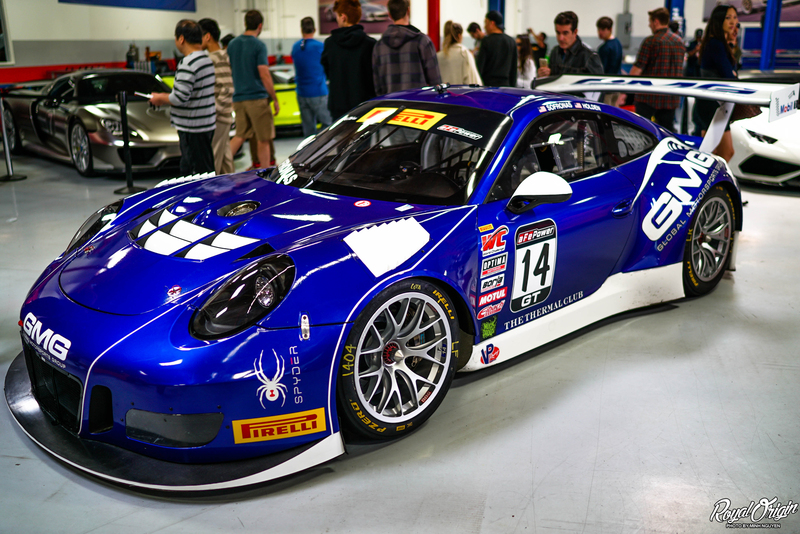 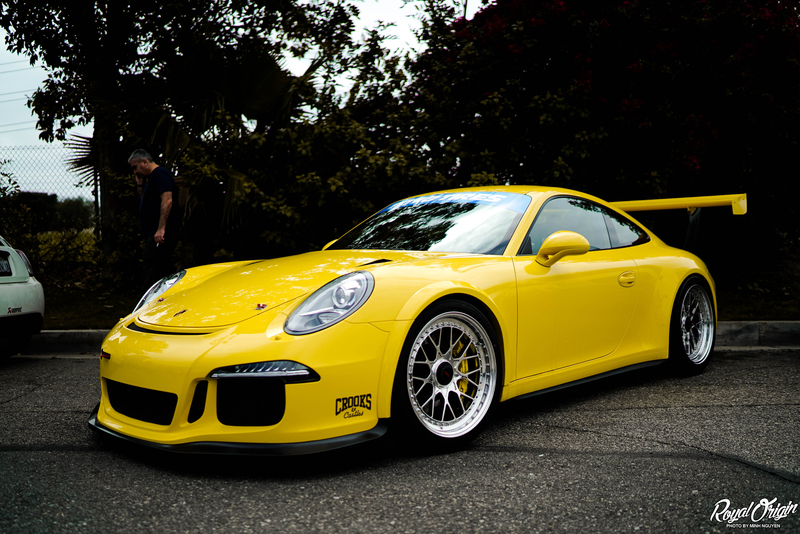 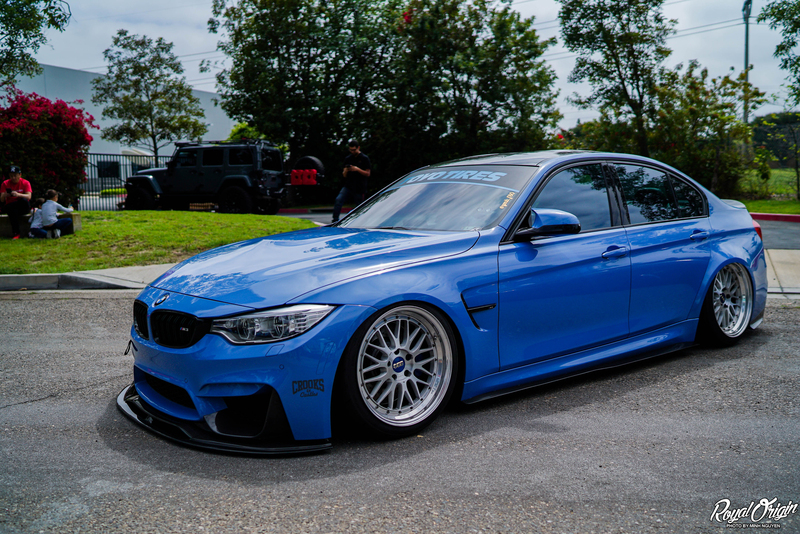 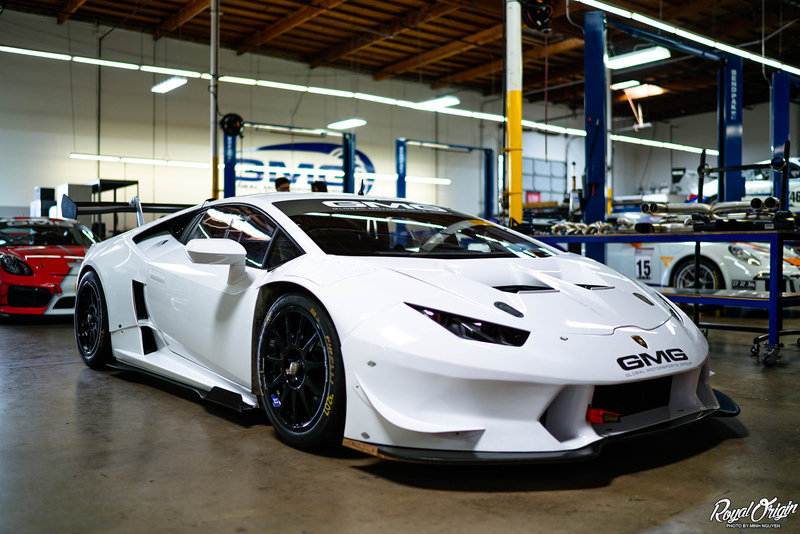 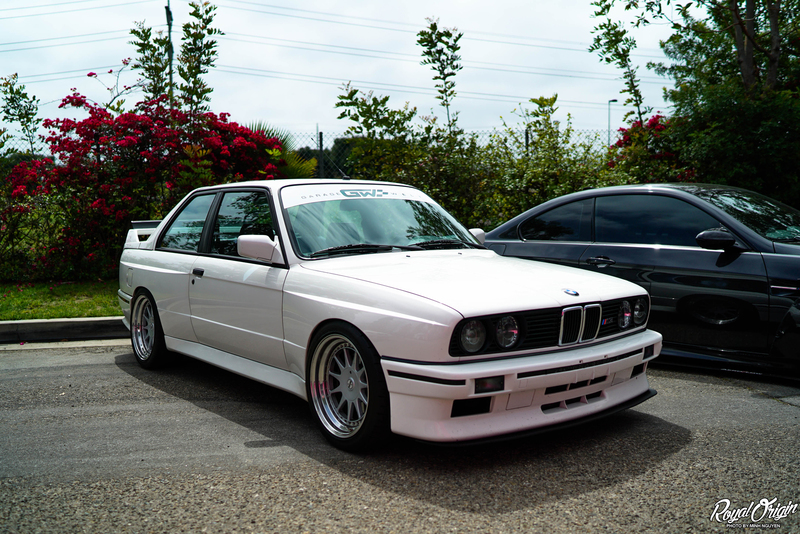 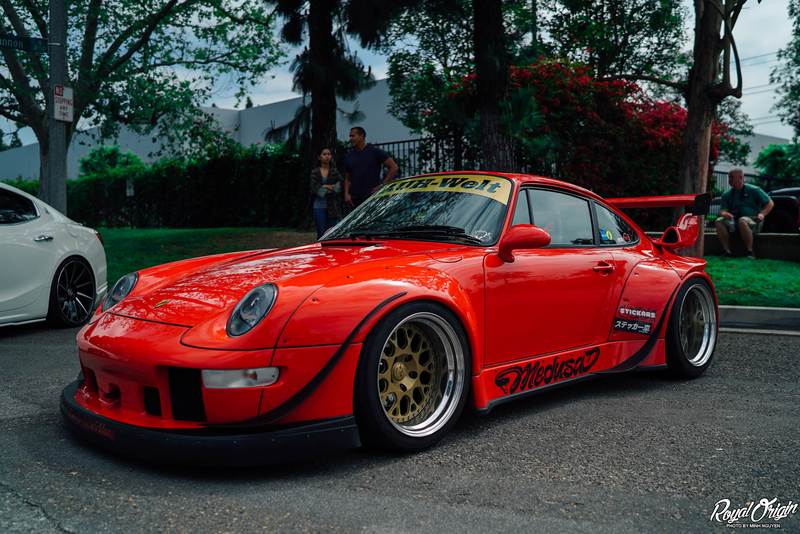 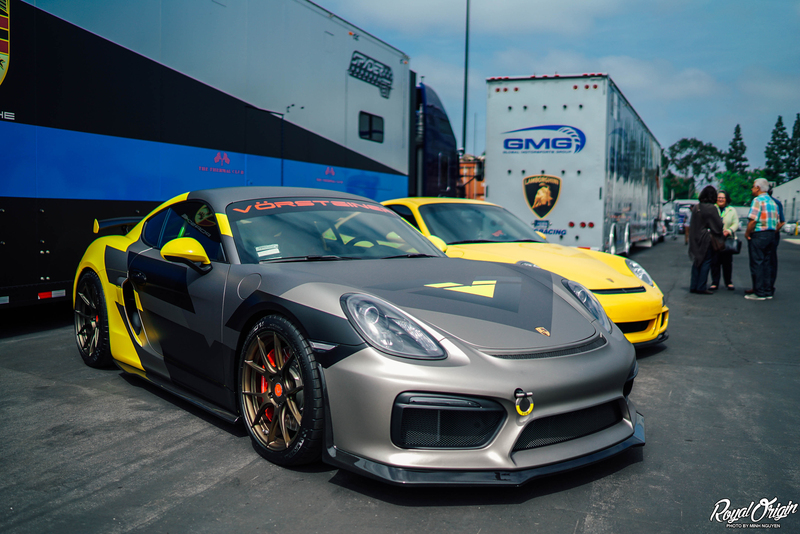 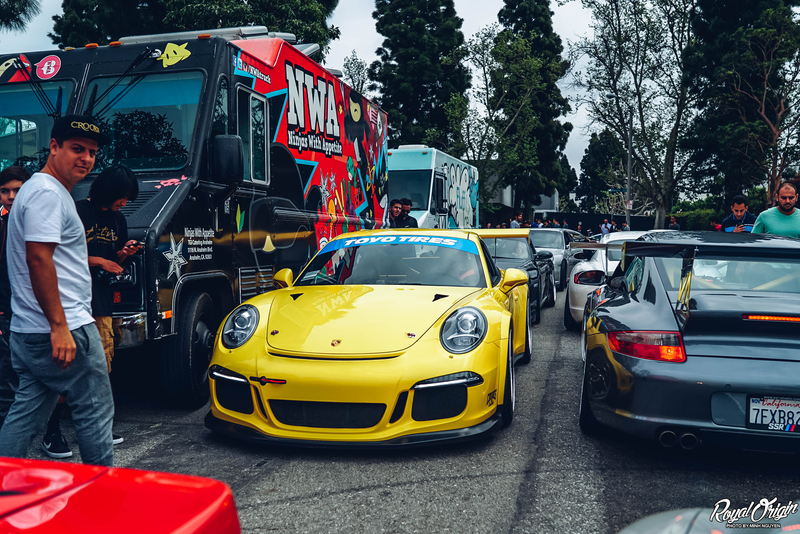 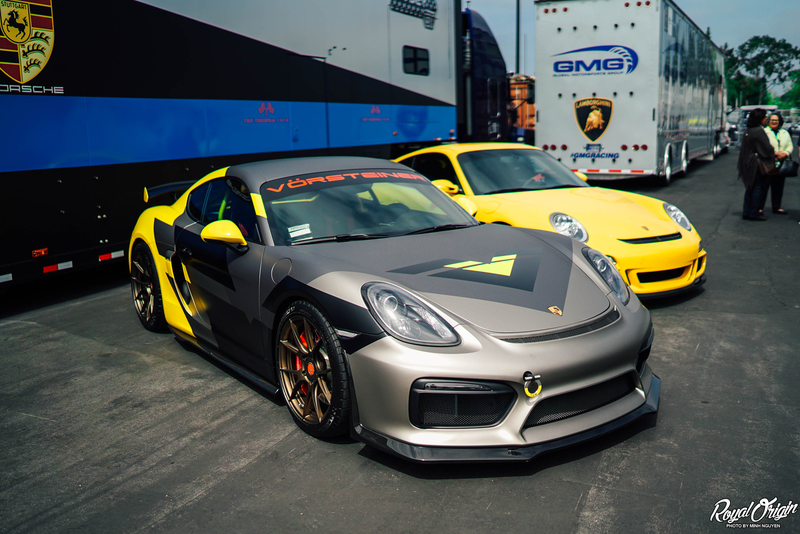 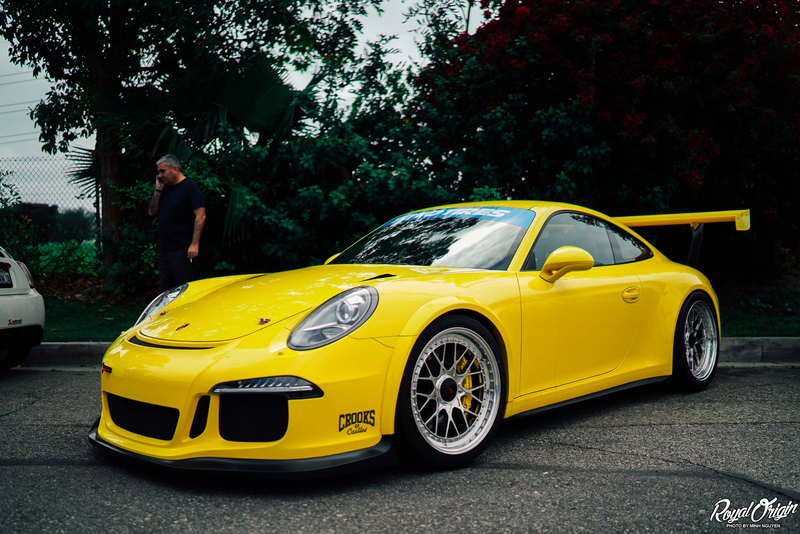 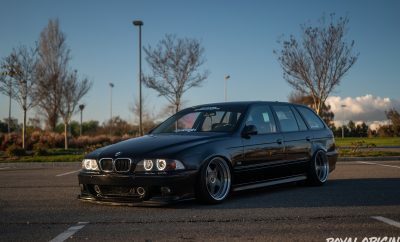 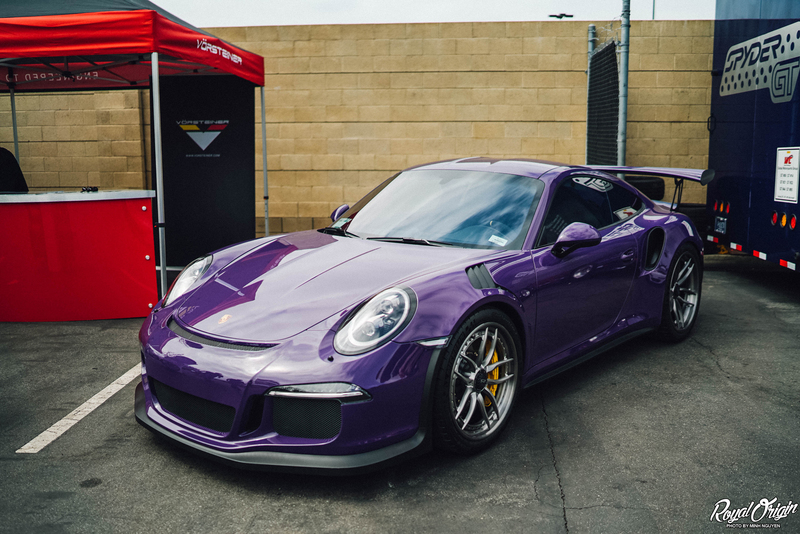 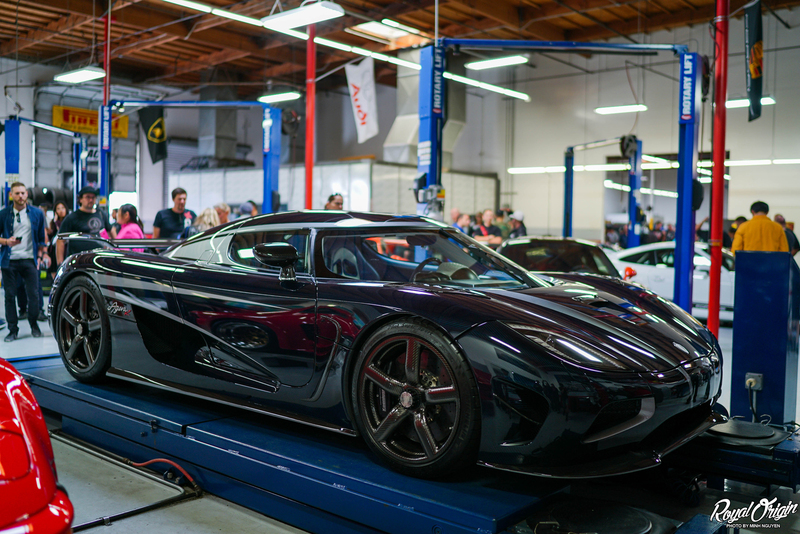 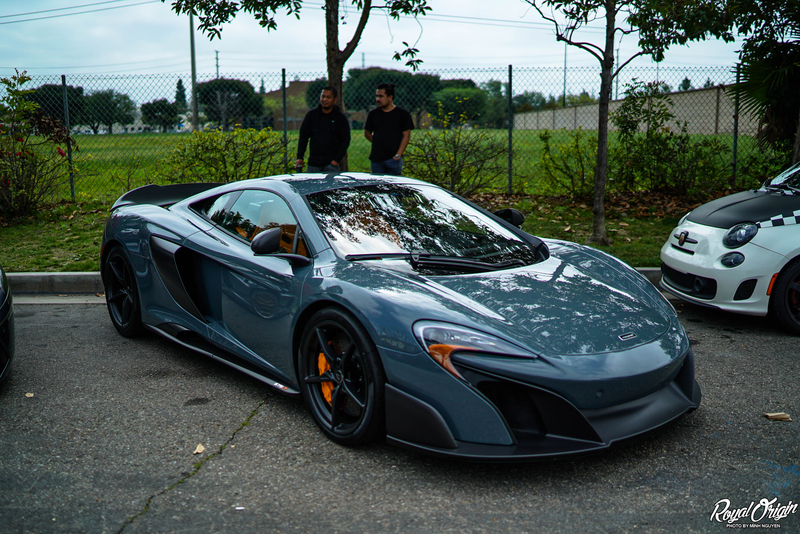 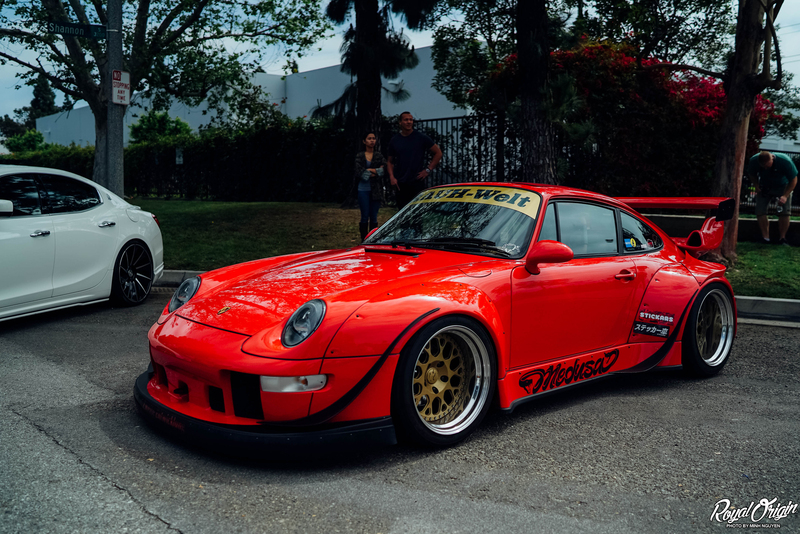 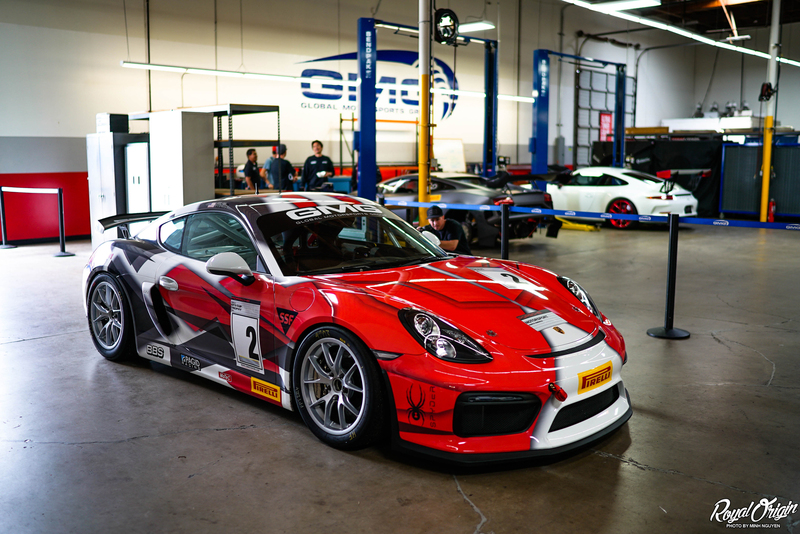 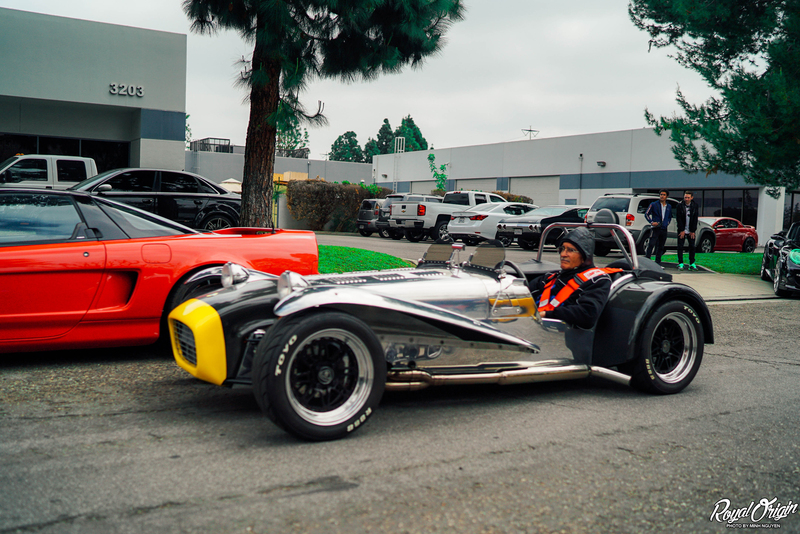 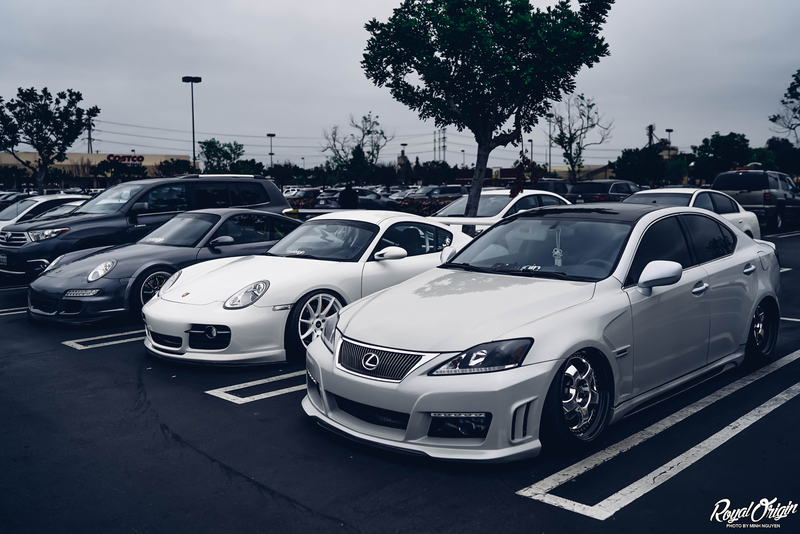 GMG Racing open house is one of the best local events in Orange County, we get to see a crazy amount of super cars at this event and be in presence of cars that would probably cost two of your lifetimes to afford. 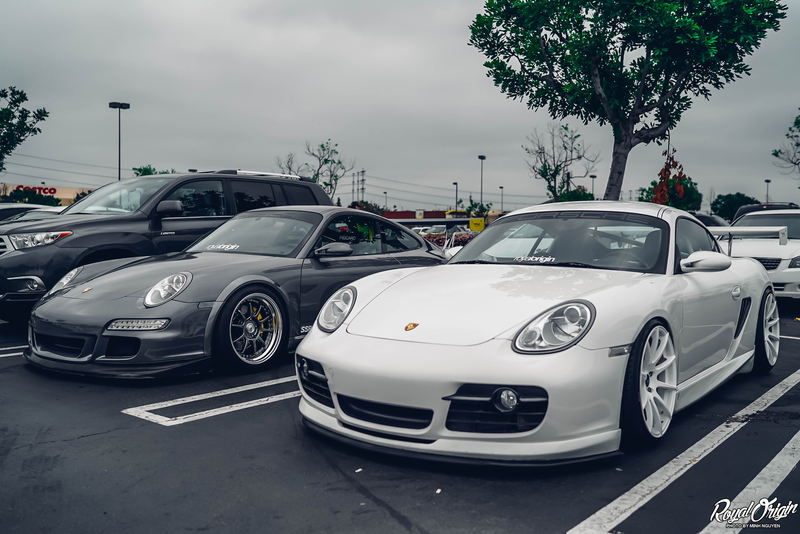 The morning of the event I met up with Phat and Ashton for breakfast. 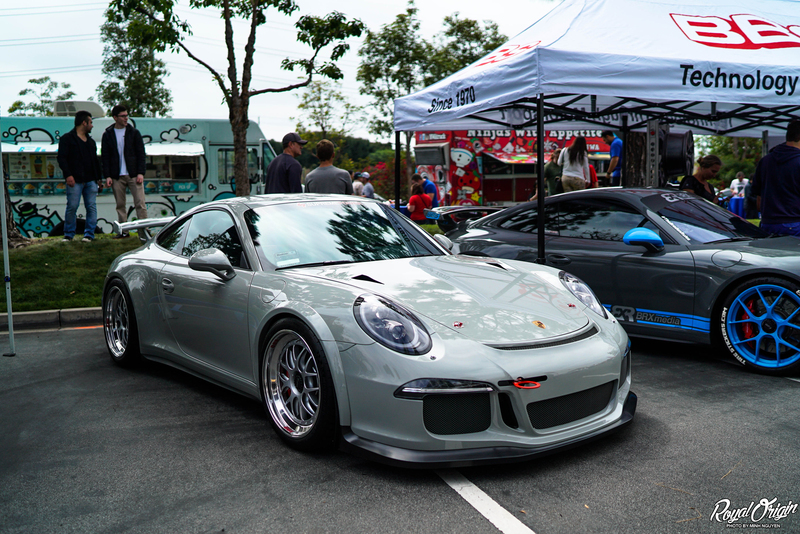 One does not belong… The Porsche/Mazda bros. Ashton’s 911 is looking great going back to the grey paint and adding the PNA Design wing. 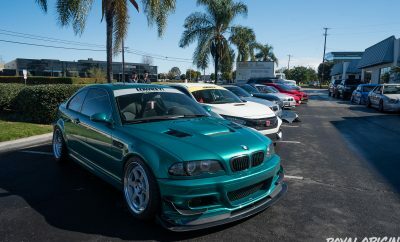 We were waiting for the Phaze 2 caravan to come through and they brought the heat. 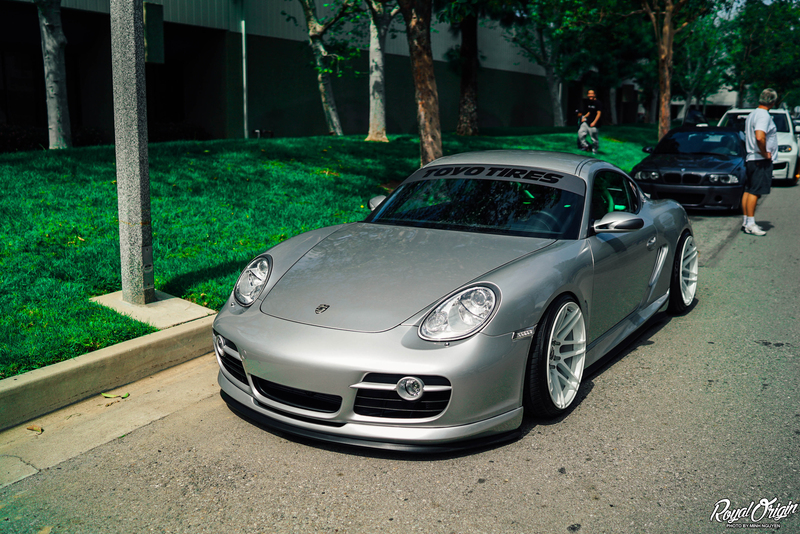 The roll-in was way tight just like Darren’s Porsche. 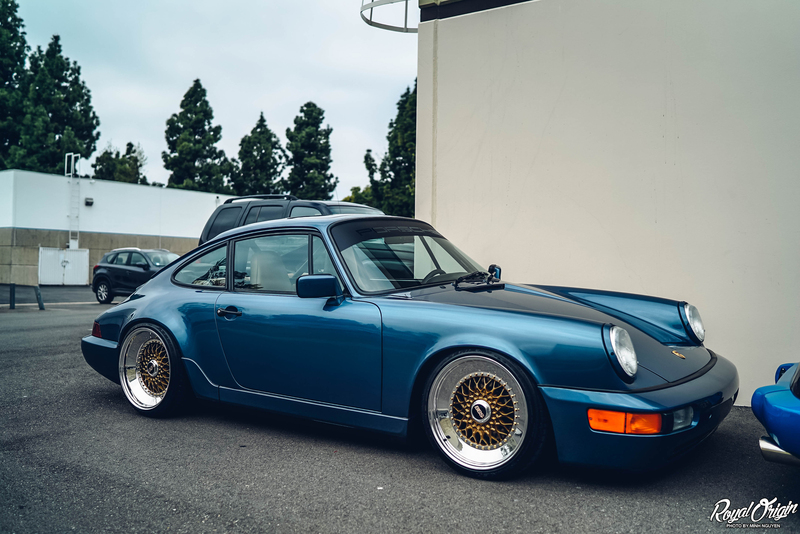 Clean styling with this Porsche on BBS RS. 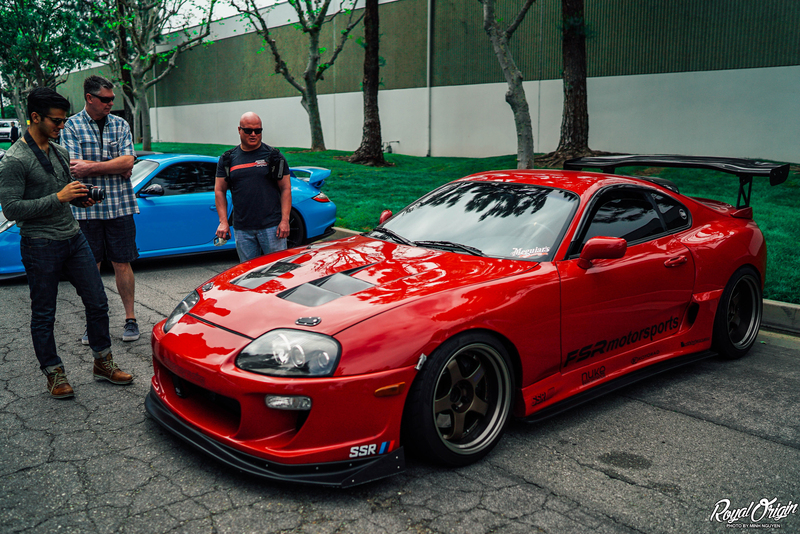 Brendan’s widebody Supra was out and about at the event. 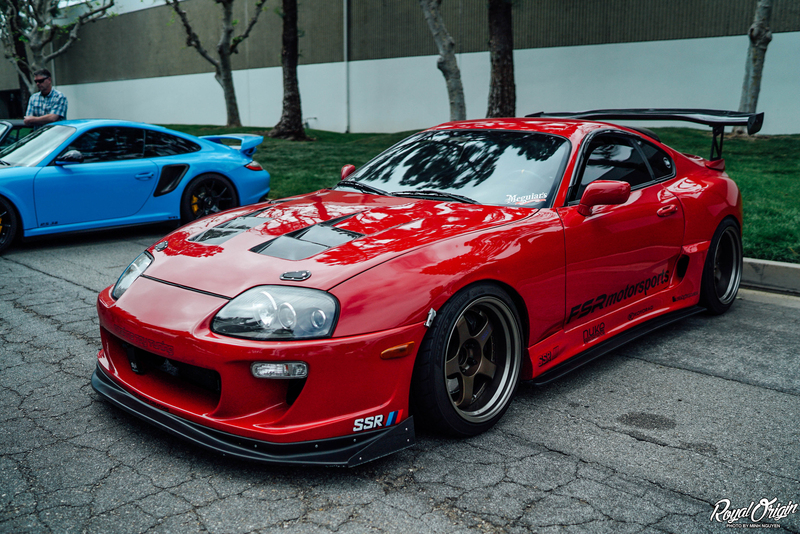 These guys were talking about if this car was in the Fast and Furious or not. 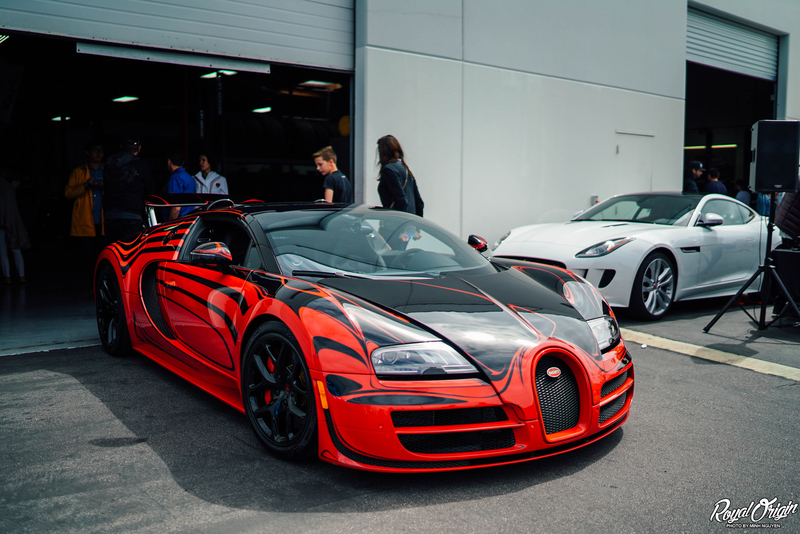 Roll out like a boss. 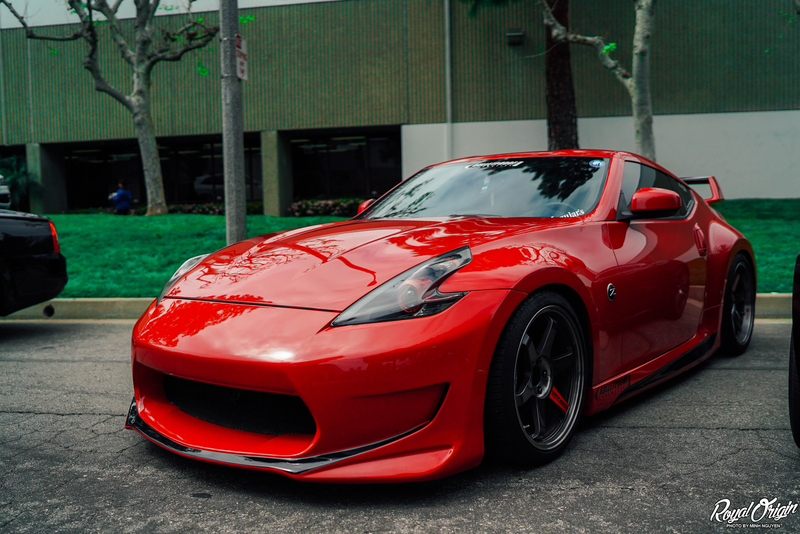 Mikey’s Amuse 370z on Volk TE-37 SL. 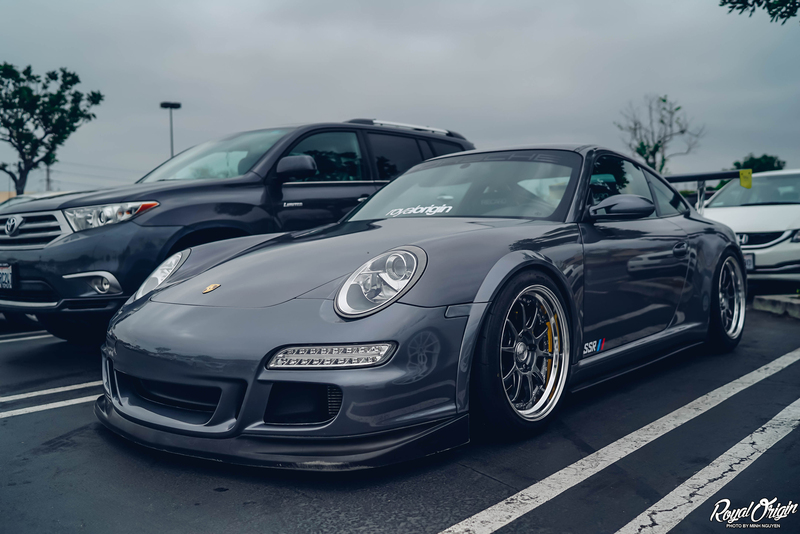 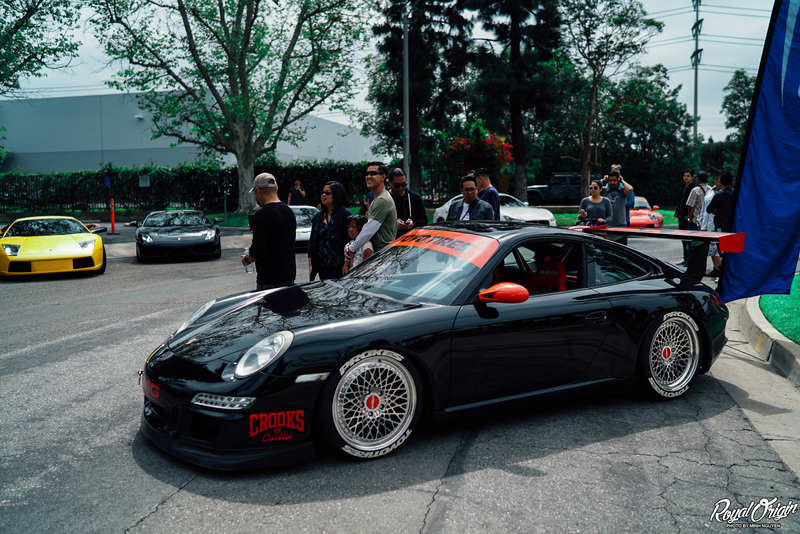 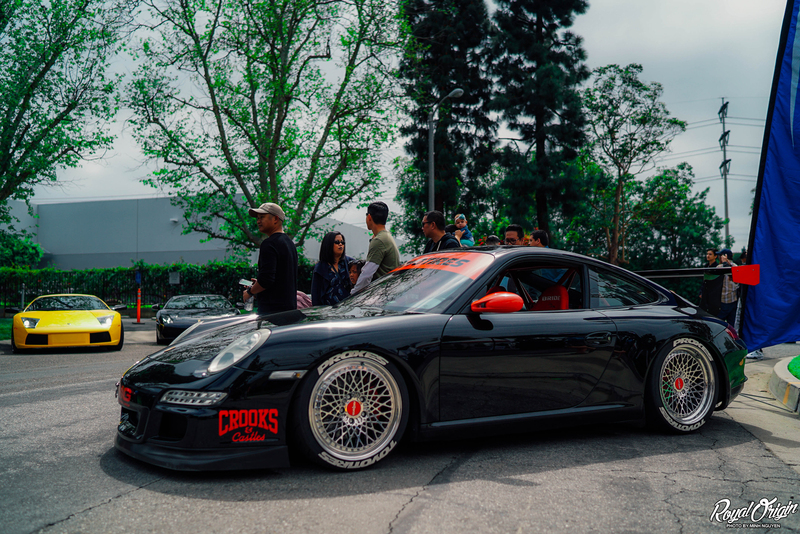 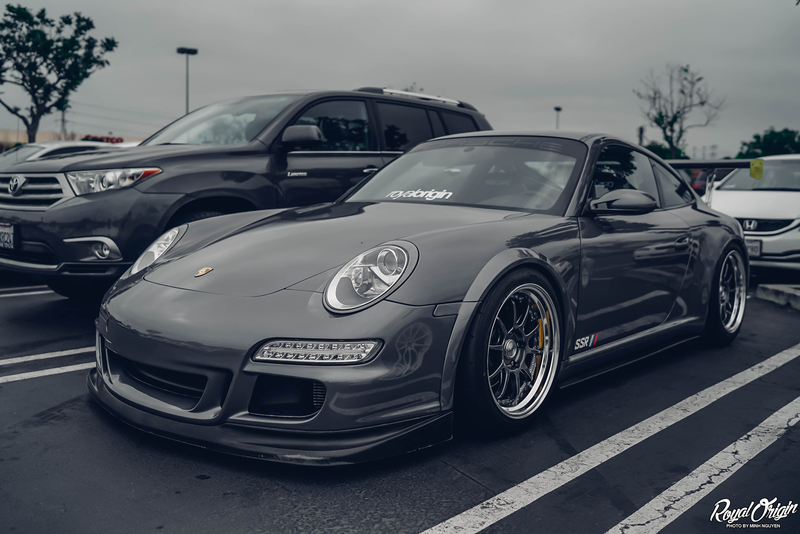 Mikey’s shiny 997 on Rotiforms. 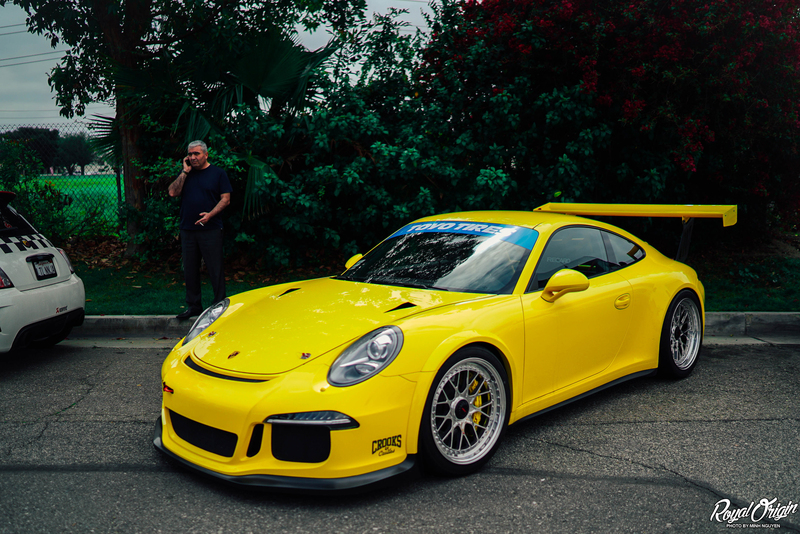 Darren’s GT3 got some prime parking at the event. 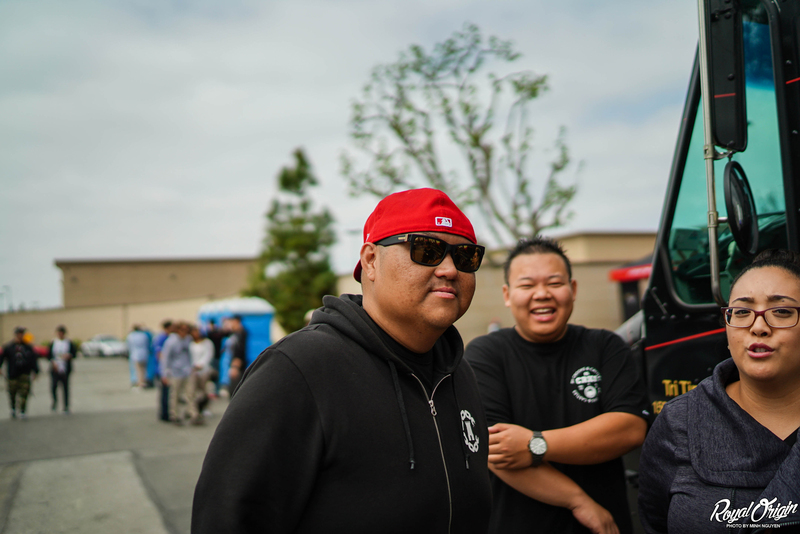 Mikey with the surprise back rub. 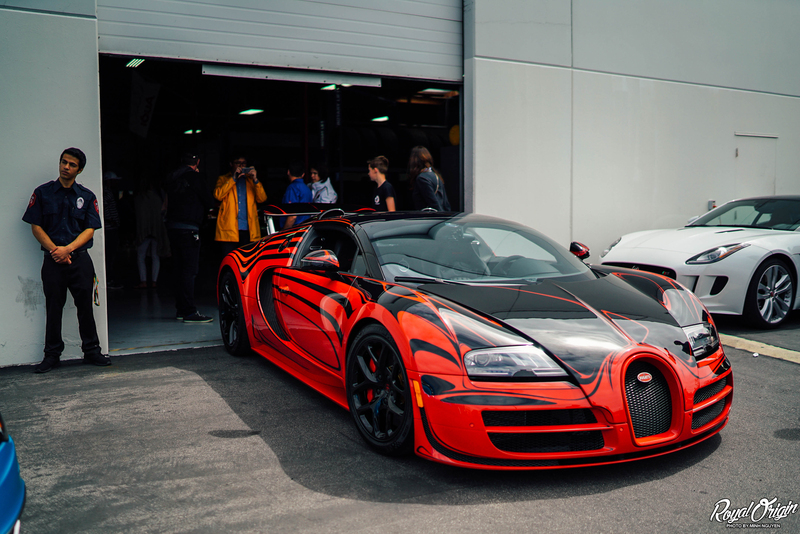 Bugatti to greet you before entering the warehouse. 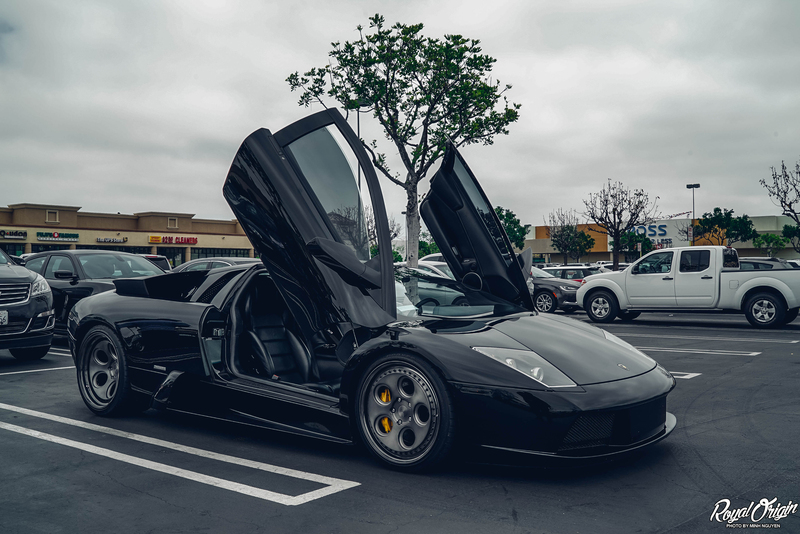 The car even had it’s own security to make sure no one leans on it. 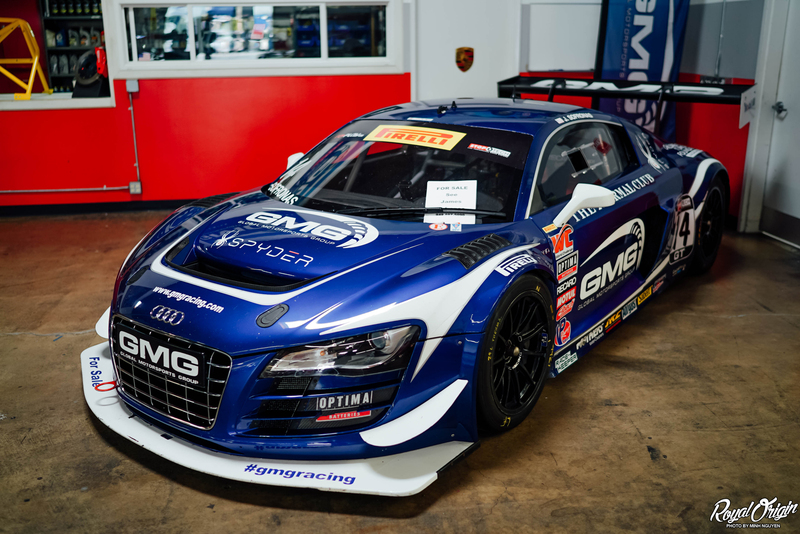 GMG Racing Audi R8 for sale. 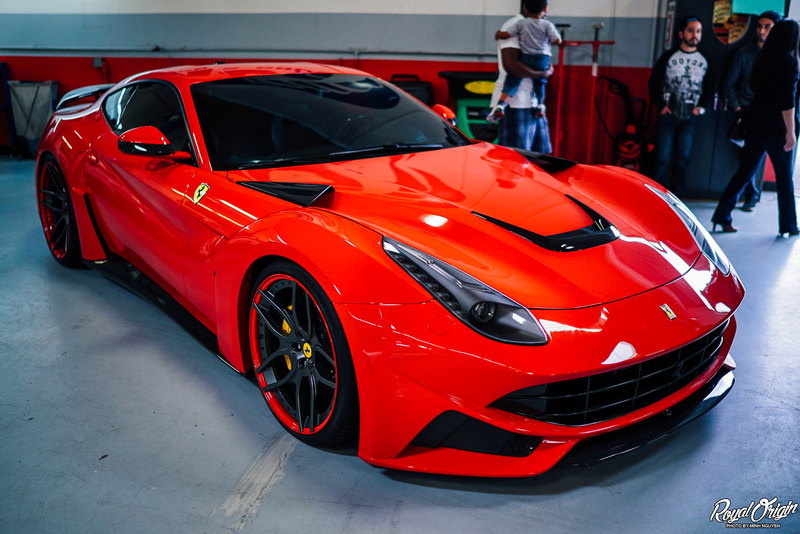 It would be a nice addition to my garage, but maybe in another life time. 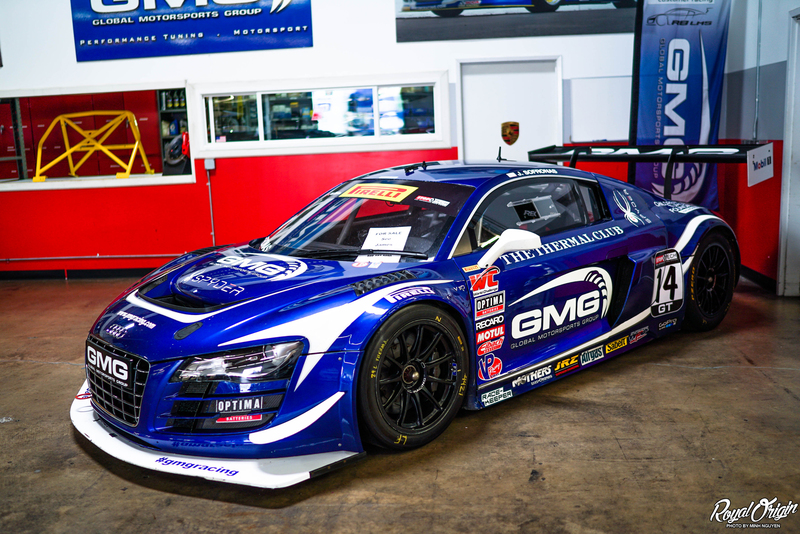 The R8 is pretty clean for a race car. 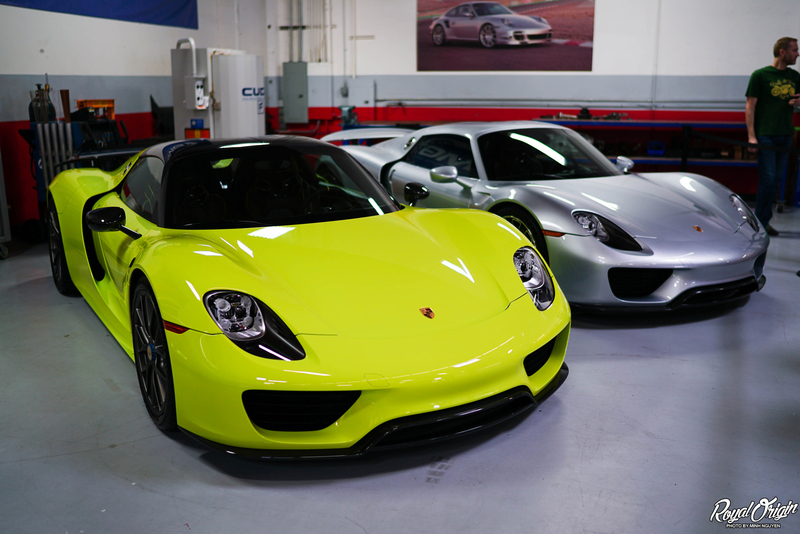 Super cars on super cars. 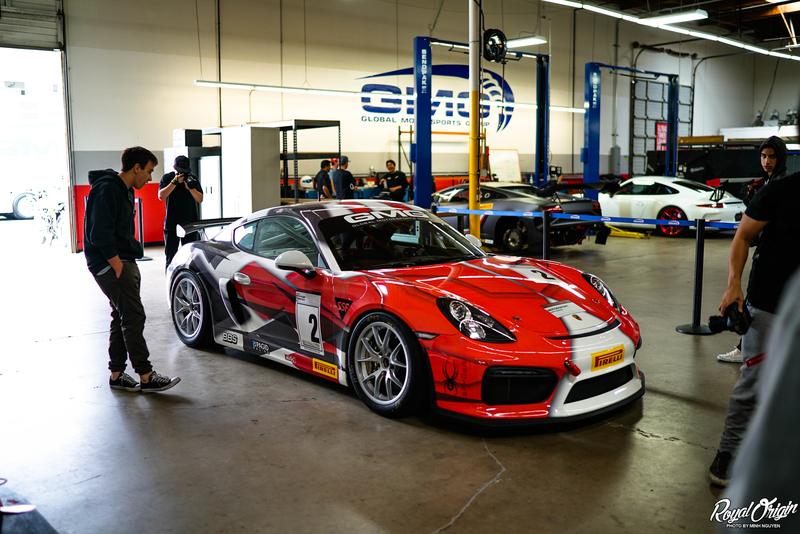 Every automotive photographer’s dreams were in this building. 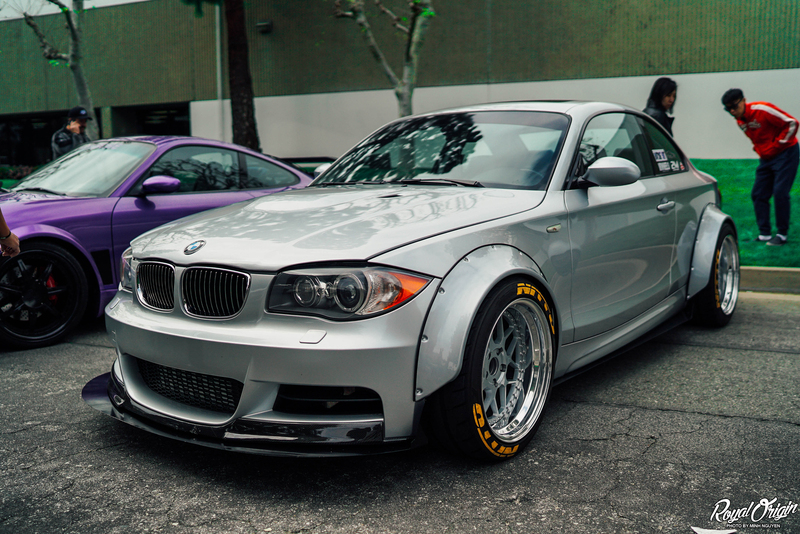 Those carbon fiber wheels tho. 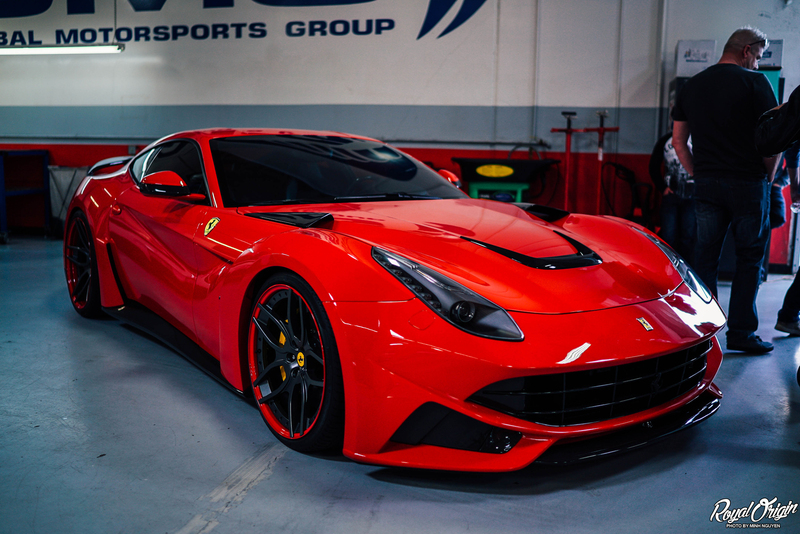 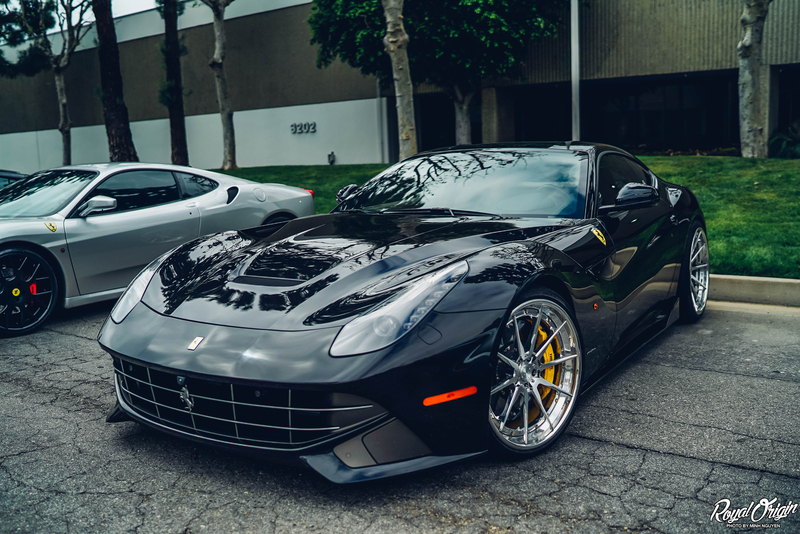 This F12 is so beautiful. 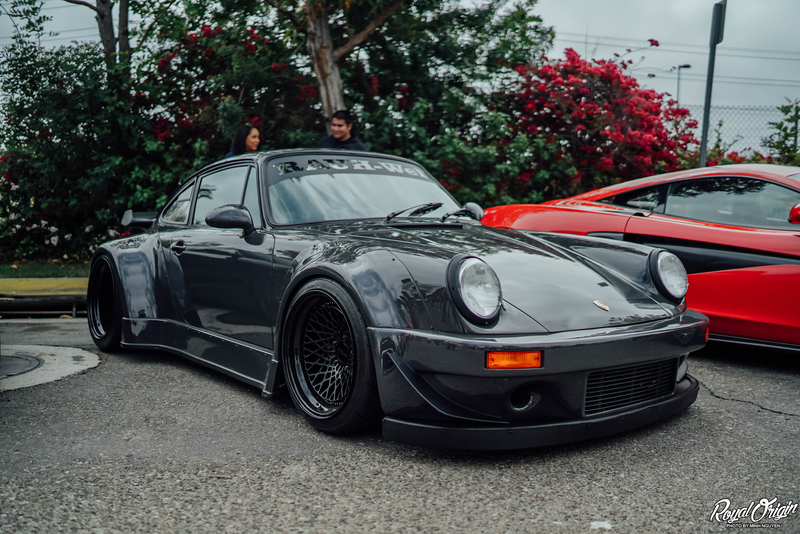 Medusa RWB. 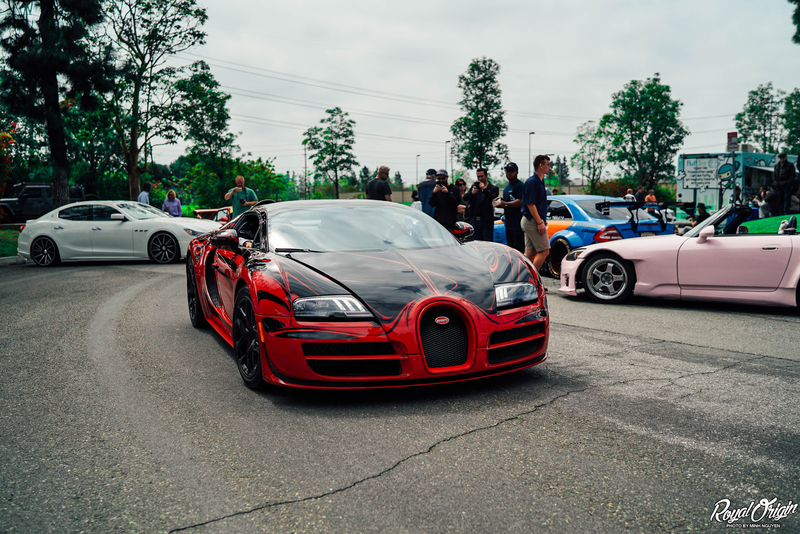 Bugatti roll out. 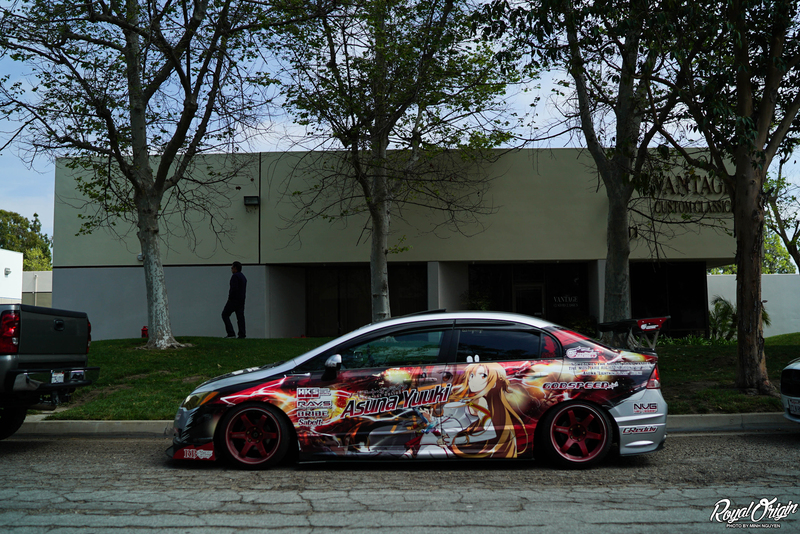 Ending it with me spotting Devyn’s Itasha style Civic.